Today I have come up with some edgy and fun nailart. 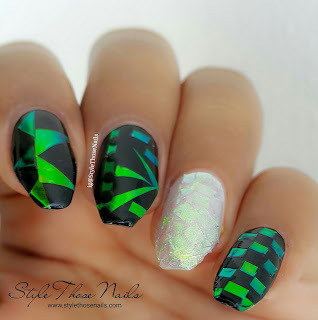 I had some reflective glass foil for a while and wanted to try it. 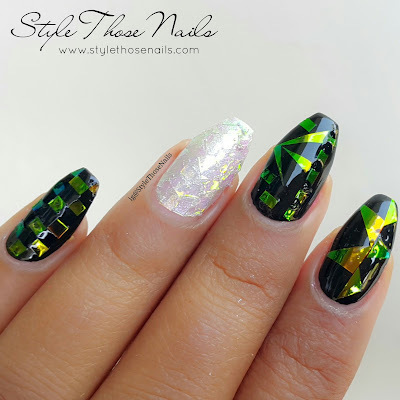 I didn't want to do shatter glass mani as this was already done a lot so I was just playing around and came up with this mani. I did accent nail with white background and rest with black background. It was so much fun and this mani was so eye catching. I hope you will also like this abstract random nailart. 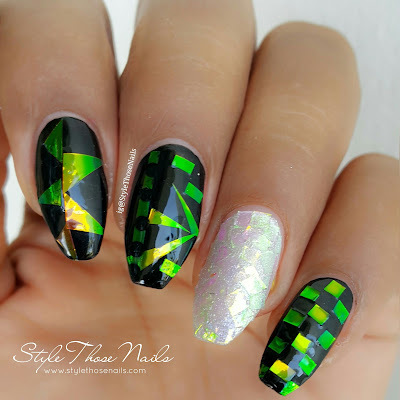 I used the glass foil from Indian Lacquerholic (Online nailart shop in India) and black and white polishes for this nailart. 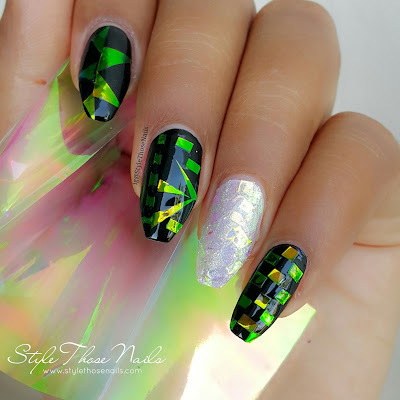 Though the reflection of light on black polish was stronger with green yellow and blue shift, it was equally beautiful with white background with pink and purple reflection. Unfortunately my camera couldn't pick reflection on white easily. 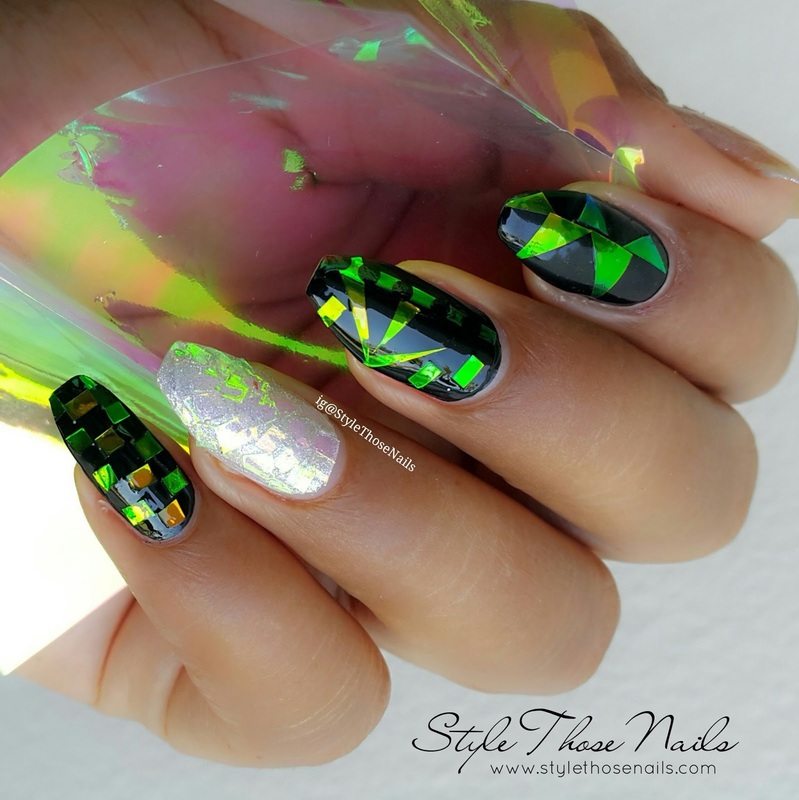 Let me know if you enjoyed this fun nailart and have you ever tried these foils. Do you like using them?